On the first day of the Spring Fund Drive, the WYCE show premiered new tracks by Michigan artists, had an in-studio chat with Ralston Bowles and counted down some top regional albums. 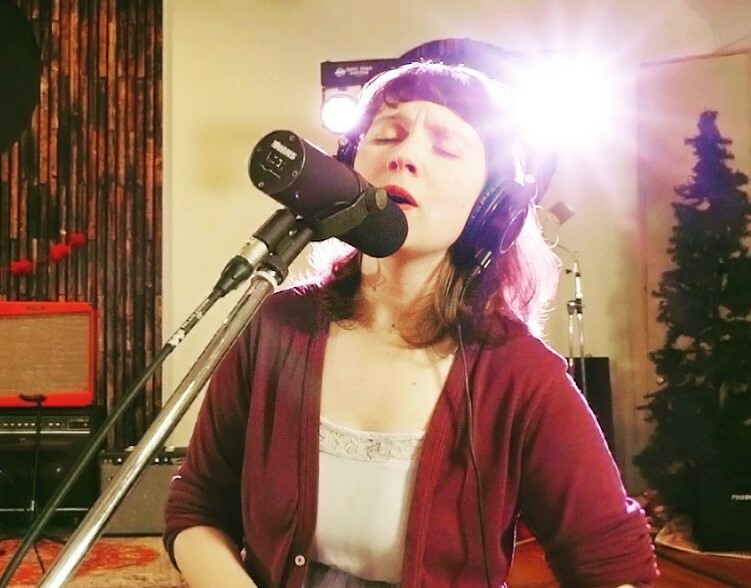 Song and Video Debut: Ypsilanti jazz singer Estar Cohen has a new single and video. Grand Rapids community radio station WYCE-FM (88.1) has long maintained that it delivers a “world of music” to its listeners. Well, for the first day of the Spring Fund Drive, Local Spins on WYCE — which showcases local and regional music at 11 a.m. every Friday — demonstrated that approach by kicking off the show with song debuts by Michigan artists representing widely disparate genres: the indie-folk, Americana and alt-country of Holland singer-songwriter Mark Harrell, the hip hop and R&B of Grand Rapids’ Callab and the innovative jazz of Ypsilanti singer Estar Cohen. The premiere of those tracks came during the kickoff to the fund drive for the listener-sponsored station which depends on donations from those who lend an ear to the diverse programming that WYCE offers throughout the week. To aid the cause, donate online at wyce.org or call 616-742-9923. The fund drive continues through April 19. This week’s edition of Local Spins on WYCE also featured an in-studio chat with Grand Rapids singer-songwriter Ralston Bowles, who hosts WYCE’s Re-Imagine specialty show at 10 a.m. Sundays, and a countdown of some of the top local and regional albums that have appeared in the Local Spins Hot Top 5 chart (published every month at Local Spins). Listen to the radio show podcast here, and check out the new music video for Cohen’s single, “Only Once,” with more information about Cohen and the video below. This week’s show also aired songs by Deep Greens & Blues, Heavy Color, Greensky Bluegrass, May Erlewine & The Motivations, Heaters and Jen Sygit.